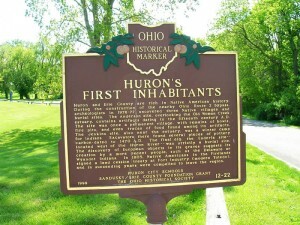 Huron and Erie County are rich in Native American history. During the construction of the nearby Ohio Route 2 bypass, archeologists in 1976-77 uncovered three Native villages and burial sites. The Anderson site, overlooking the Old Woman Creek estuary, contains artifacts dating to the fifteenth century A.D. The site was once a permanent village, with remains of bowls, fire pits, and even traces of food found among its artifacts. The Jenkins site, also near the estuary, was a winter camp for Indians. Excavators there found several pieces of pottery carbon-dated to 1470 A.D. The final dig, the Enderle site — located west of the Huron River — was strictly a burial site. The discovery of European objects in its graves suggests its creation by a more recent people, such as the Delaware or Wyandot Indians. 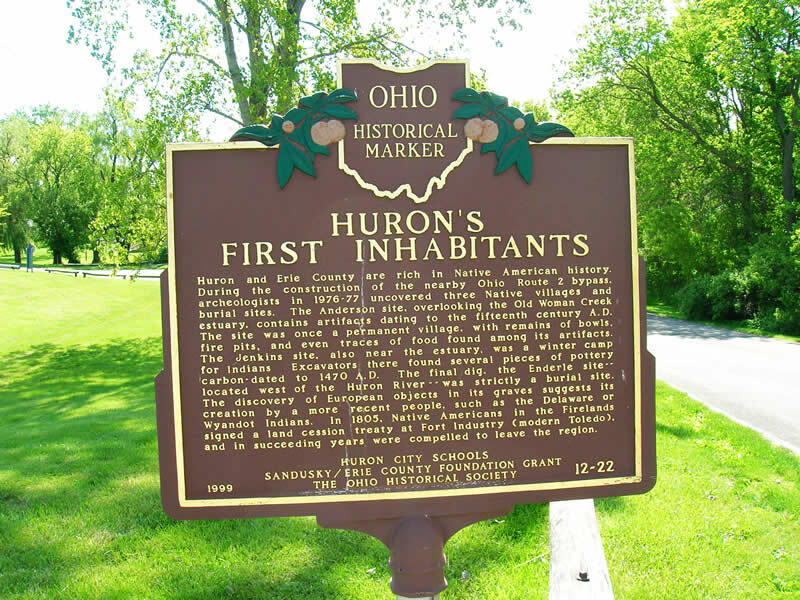 In 1805, Native Americans in the Firelands signed a land cession treaty at Fort Industry (modern Toledo), and in succeeding years were compelled to leave the region.